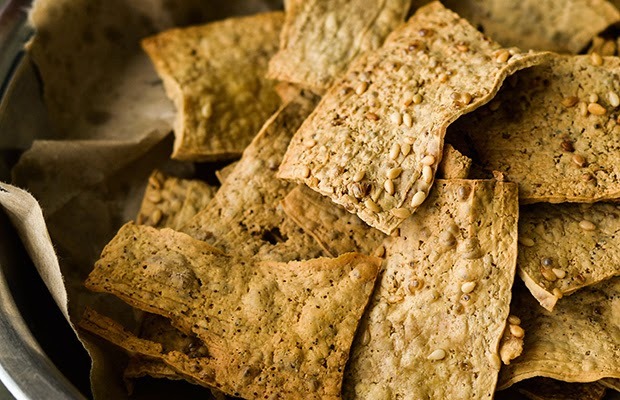 Crunchy and salty, how we love this snack time power couple! There’s no substitute for the crave-worthy flavor and satisfying texture that make carb-centric snacks so delicious. But store-bought chips are usually fried in an unhealthy amount of oil, which packs a significant amount of fat. 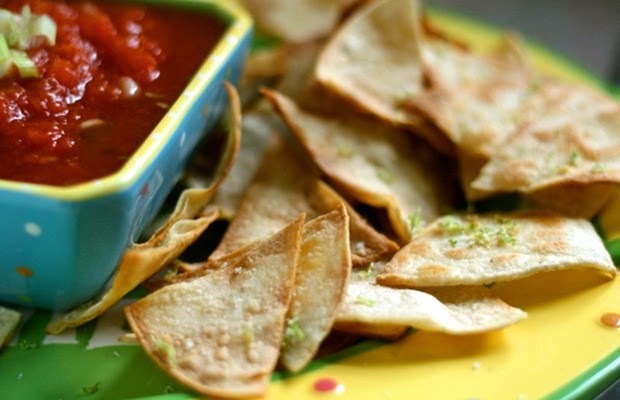 Instead, try baking your own homemade chips by using vegetables, fruits and whole-wheat pitas. 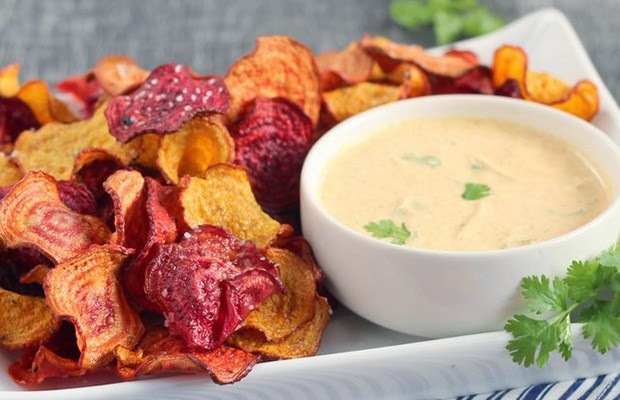 We’ve rounded up this list of healthier chip recipes that will certainly cure your case of munchies. Just don’t forget some salsa, hummus or dip! 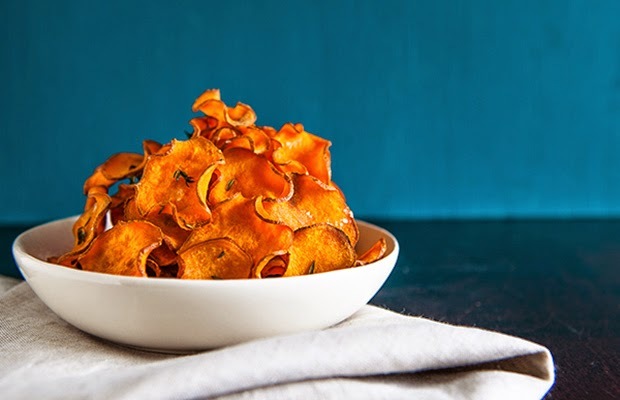 Orange juice and blood orange zest give an unexpected twist to the classic sweet potato chip. If you need to use more than one baking sheet, make sure to adjust the 20-minute bake time accordingly. Bonus: These are paleo-friendly! 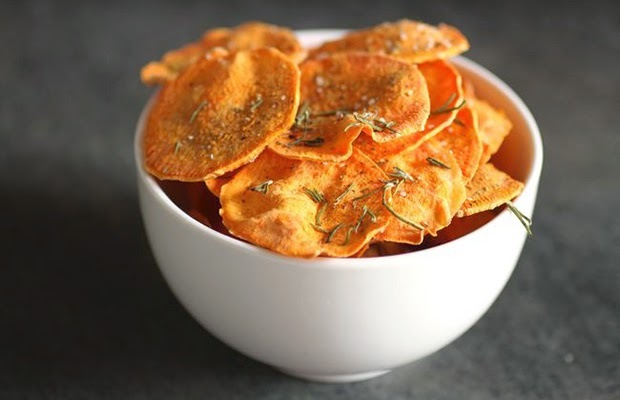 It’s quick and easy to make your own pita chips, and this recipe tells you the how much of each spice is optimal for seasoning. Try adding Parmesan if you want a cheesy taste, or use nutritional yeast if you’re vegan. We recommend using whole-wheat pitas for a serving of heart-healthy whole grains. Known as the “potato of the tropics,” taro is a purple root vegetable that’s a good source of vitamins B6 and C. Eat these sophisticated chips au natural or class them up for a party by using them as a crunchy base for salmon tartar. 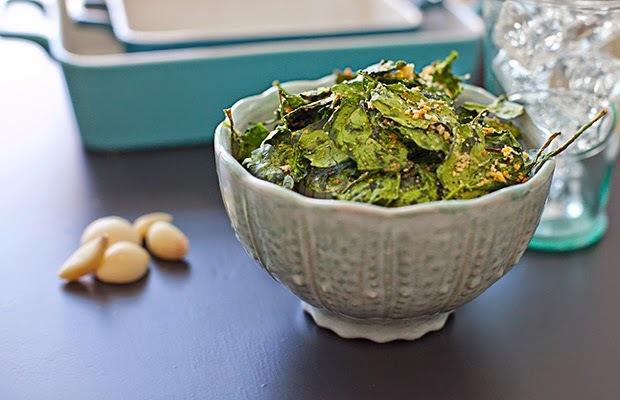 Breadcrumbs, Parmesan and garlic give green leaves a kick in this savory snack that delivers a healthy serving of iron. Don’t skimp on the olive oil otherwise the delicious seasoning won’t stick to the spinach. And, be sure to use parchment paper on your baking sheet so your chips don’t burn. 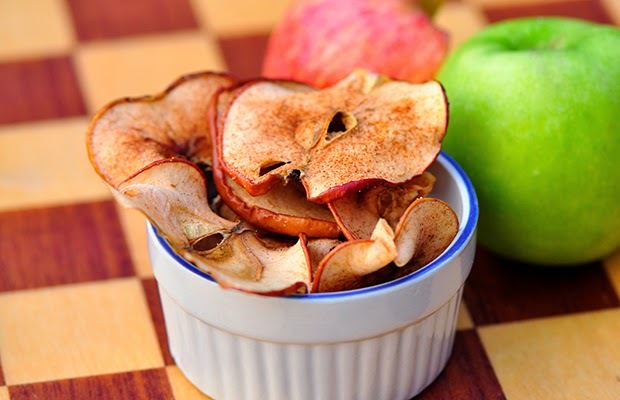 Transform your apples into a cinnamon-y sweet treat! This recipe requires a three–hour baking and cool time, but the end result is worth it. We say fitting in a workout is the best way to make the time pass! Tortillas, spices and olive oil come together to give your taste buds a spicy punch in this gluten-free and vegan recipe. It’s got all of the flavor and none of the suspicious ingredients found in the store-bought version that used to turn your fingers orange. 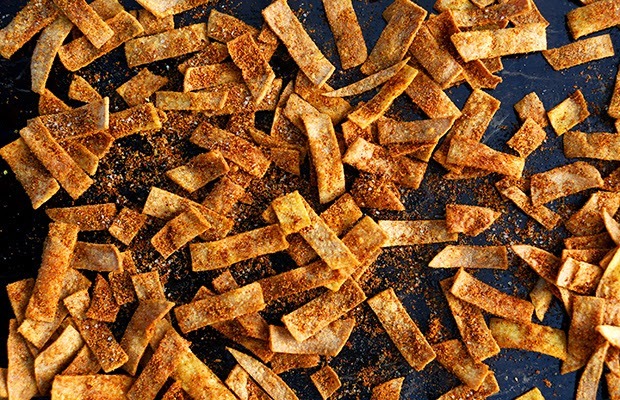 Sprinkle these crisps on to chili or a hearty winter soup. Asian-inspired seasoning made of miso paste and sesame seeds will take time to make, but the savory umami flavor is sure to get your taste buds’ attention. Pro tip: Make sure to press your tofu to release excess liquid before slicing it. 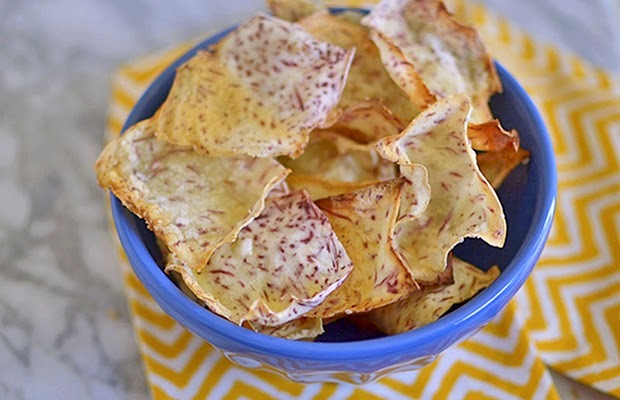 The sweetness of beets enhances these veggie crisps. To save some calories, skip the frying and bake these instead. 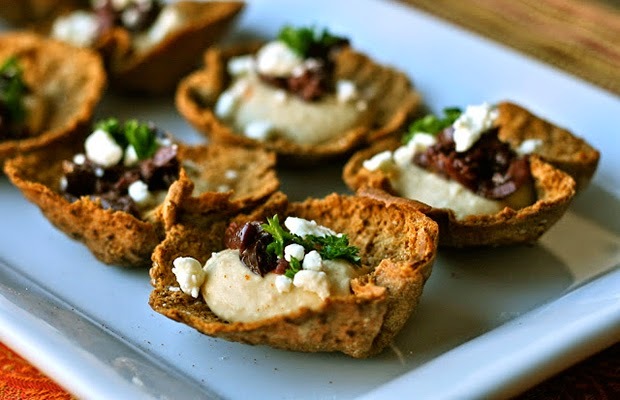 They’ll pair perfectly with a mild dip that’s got extra protein from Greek yogurt. Tart taste lovers, rejoice! Lemony flavor steals the spotlight in this recipe. To slice your zucchinis as thin as possible to reduce baking time, use the thinnest setting on a mandolin slicer. 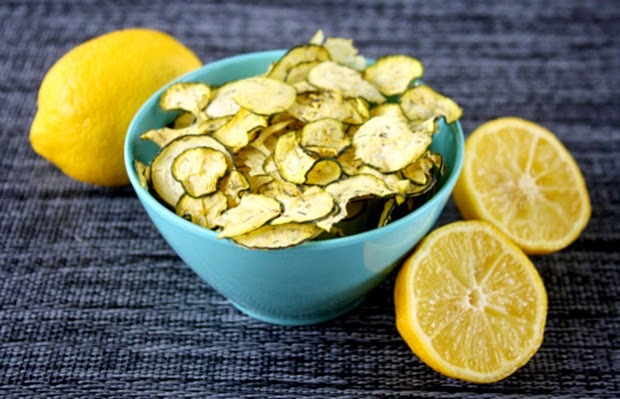 If you don’t have an oven or a dehydrator, you can still make homemade chips with minimal equipment and ingredients. To prevent burning, make sure you keep a close eye as your sweet potato slices bake for 8 minutes or so since some microwaves emit an uneven amount of power. A dash of citrus ups the ante on your standard Tex-Mex spread. The secret? Bake tortillas until they start to crisp, sprinkle them with a zest and salt mixture and then return to the oven for a few final minutes… Olé! 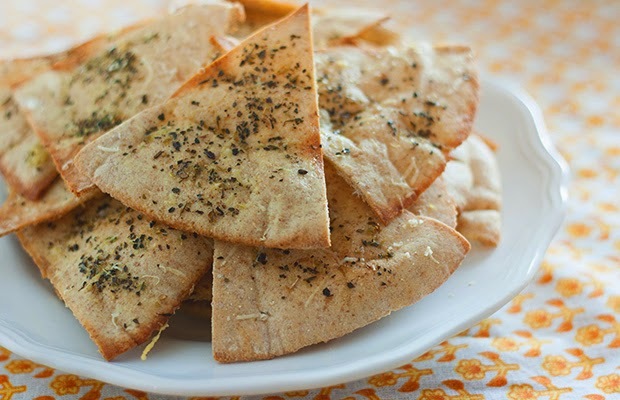 Though not technically a chip, these pita cups make a unique — and healthy! — appetizer. Use an empty can or cup to make circular pita rounds, press them into muffin tins and voilà! You’ve got yourself a handy little cup just begging to be filled with hummus, salsa or artichoke dip.